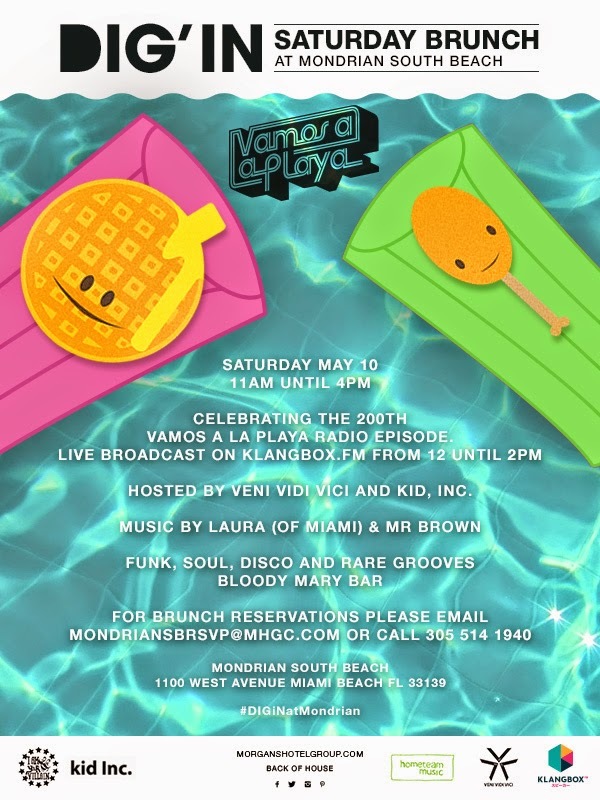 VAMOS A LA PLAYA: Vamos a La Playa 200th Episode & Celebration Party! Vamos a La Playa 200th Episode & Celebration Party! "As host of radio show, Vamos a La Playa, DJ Laura of Miami (real name Laura Sutnick) takes local listeners to the proverbial beach with handpicked dance-y, tropi-cool tunes perfectly suited for this flamingo pink town." "Laura Sutnick has inspired a cult-like devotion among her fan base that's uncommon tn this town. For several years, she served as the program & music director for University of Miami's radio station WVUM, where she turned local ears onto tunes both cutting edge and rediscovered through her popular show Vamos a la Playa. The mix? About-to-break indie tracks, old-school Miami freestyle, Italo~disco, and exotica."